Police officers in Derbyshire have committed to throw rural crime under the spotlight. 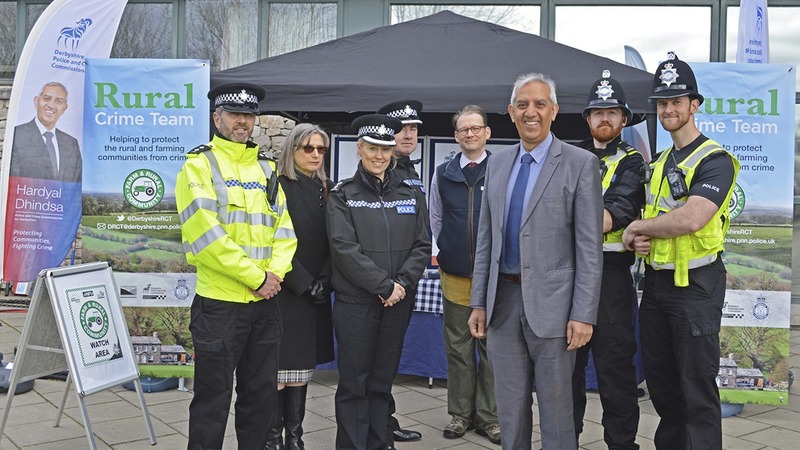 Derbyshire Police rural crime team launch at Bakewell Farmers' Market. The Derbyshire rural crime team was launched earlier this week in a bid to help ‘shut the gate’ on rural crime and better implement police resources. The new team will be made up of police officers, members of Special Constabulary and police volunteers who will also lean on the expertise of the force’s 27 wildlife crime specialist officers. Hardyal Dhindsa, who previously pledged to offer greater protection to the rural community, said he was proud of their work. He said: “This is a fantastic resource for rural communities and will ensure residents and countryside businesses have access to a single, dedicated support team to address those issues that threaten their livelihoods or quality of life. Mr Dhindsa said the reinstated Derbyshire Alert will allow the police to optimise awareness work, including upping its use on social media to warn residents of live crime threats to encourage ‘prompt action’. Leader of the team Inspector Dave Nash urged there was more to the scheme than solely protecting crimes against people, but actually an additional focus on the protection of wildlife and the landscape. He said: “Whether it is the theft of a quad bike, sheep rustling, damage or theft to farm machinery or breaking into outbuildings – all of them can greatly affect someone’s livelihood. NFU county chairman Angela Sargent said she was looking forward to working with the team.